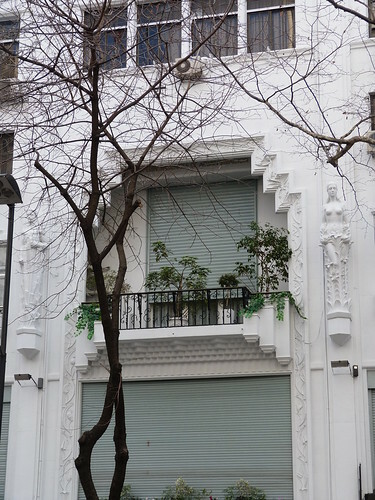 This is one of the best Art Deco buildings in Buenos Aires. 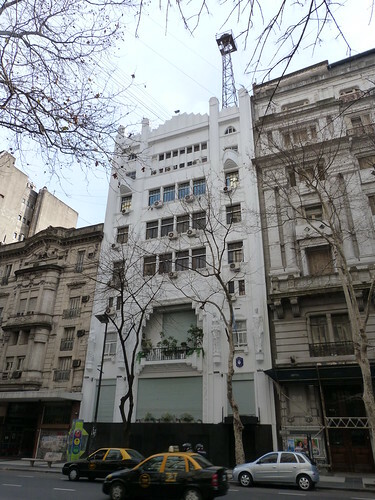 It is the former offices of the Crítica daily newspaper. 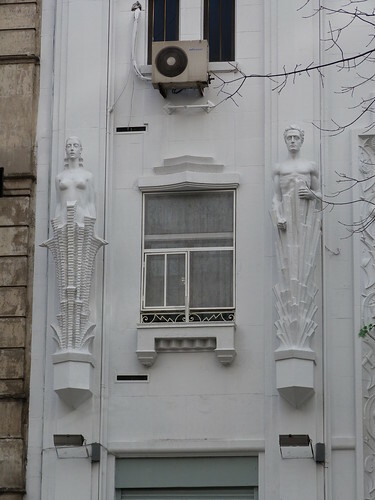 It was designed by Hungarian architects Andrés & Jorge Kálnay. One of BA's best, IMHO. 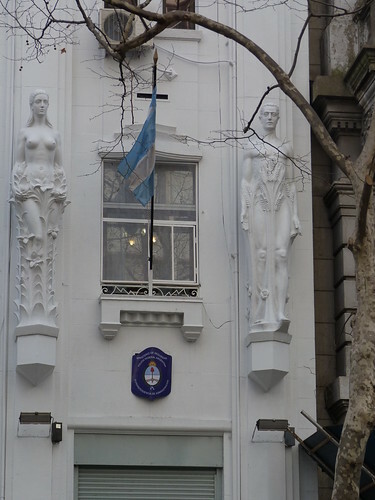 Hard to see in the first photo, but I love the little balconies that protrude like the prow of a ship. If I remember correctly, we sort of stumbled on this one? Yes great building. I had it on my list but not sure if I'd tracked down the actual address before we came across it.